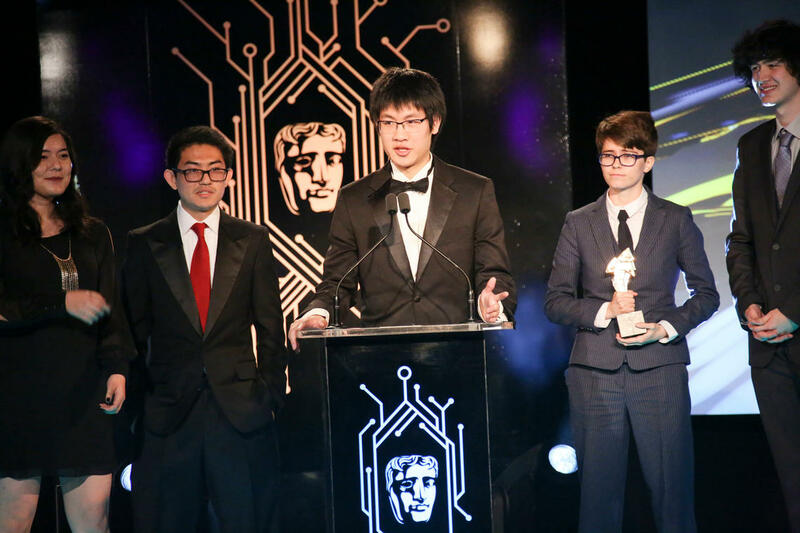 For the second year in a row, a USC Games project has won the BAFTA Ones To Watch Award, which celebrates new talent and innovation in the games industry. Mild Beast Games—a team of USC Games students that includes Steven Li, Aaron Hong, Mac Goldwhite, Cynthia Cantrell, Grace May, and Theodore Park, along with student composer Kenny Regan from the Thornton School of Music and sound designer Jade Kim from Berklee College of Music in Boston—took home the Award for Sundown, one of three nominations that were first chosen as the top three of sixteen finalists from the University of Abertay’s Dare to be Digital Competition last August. A fast and frantic top-down multiplayer stealth shooter, players in Sundown fight in completely darkness—invisible to themselves and other players—and must utilize various light sources that emit bursts of light when shot in order to illuminate their path. It’s the type of inventive, addictive, and visually impressive game that we’ve quickly come to expect from the prestigious USC Games program, consistently ranked by the Princeton Review as one of the best graduate and undergraduate game design programs in the country. Last year’s winner was Chambra from team ok, who are set to release the game for multiple platforms following a successful playable Xbox One demo at this year’s GDC. Notably, Chambra will also be among the first titles to be released under the newly launched USC Games Publishing label. With USC Games Publishing now offering an even more direct path from student lab to game-store shelves, the team at Mild Beast Games can hope to mimic the trajectory of the Interactive Media & Games students who were in the same position last year with Chambra. “We’re so very proud and excited here at USC Games for the Sundown team and what they’ve accomplished,” said Professor Tracy Fullerton, director of USC Games and the USC School of Cinematic Arts’ Interactive Media & Games Division Chair. “It’s a wonderful opportunity for students to be recognized by such an important organization as BAFTA. We can’t wait to see where the team goes next with this great game."